Is your teen falling behind with their studies, sports, extracurricular activities or after school job? Maybe you know your child is capable and potentially high-achieving, but worry that something is holding them back. Is your child showing signs of being overwhelmed through noticeable shifts in their behavior? They may seem more on edge, emotional, withdrawn or anxious. Maybe your teen has had full-blown panic attacks, leaving you feeling helpless and afraid for their wellbeing. It may be that your teen is having trouble sleeping, skipping meals or eating too much. Perhaps the transition to high school has been more difficult than anticipated. Or has there has been a big change in your family, such as a move, divorce or loss of a loved one. Does your child seem to be having a really hard time adjusting? Whatever may be happening, you may find, more and more, your interactions with them are emotional and frustrating. Watching your teen suffer can be deeply distressing, especially if they seem unfocused, drained or persistently self-critical. You want your child to excel, but when you offer advice or encouragement, your discussions trail into silence or escalate into disagreements. Even though you might feel desperate to support your teen, you may not know how to provide them with effective tools to manage and deescalate stress. According to the National Institute of Mental Health, over 30 percent of teens are living with an anxiety disorder. If your teen is struggling, they are not alone. Over the last decade, high school has become a far more stressful. Because colleges are looking for a diverse collection of activities and experiences in new candidates, your teen may wake up early in the morning for band practice, labor all day at school, then rush off to after school sports practices, art rehearsals and/or jobs or internships. By the time your teen returns home, they may be exhausted, with a pile of homework to complete before falling asleep. Teens have more opportunities and interests than the time to pursue them. High achieving teens are often particularly vulnerable to stress and anxiety due to their heavy workloads and high-pressure aspirations. On top of everything else, the brain is undergoing tremendous development during the teen years. Not only is your child juggling a number of responsibilities, they are navigating the complexities of abstract thinking, peer relationships, self-identity and planning for the future. And, with increased social media use, your teen is constantly plugged into the happenings among peers and in the wider world. Your child might analyze peers’ performance and feel inadequate, perpetuating the cycle of negative thinking that fuels low self-esteem. You may be concerned about perfectionistic tendencies, self-criticism, panic and depression. And, you may feel unsure about how to communicate all of this with your teen. With the guidance and support of an experienced teen therapist, your child can gain perspective about his or her experiences and acquire the tools needed to effectively manage and overcome stress. Teen therapy is an exceptional opportunity for your child to navigate the challenges they are facing. 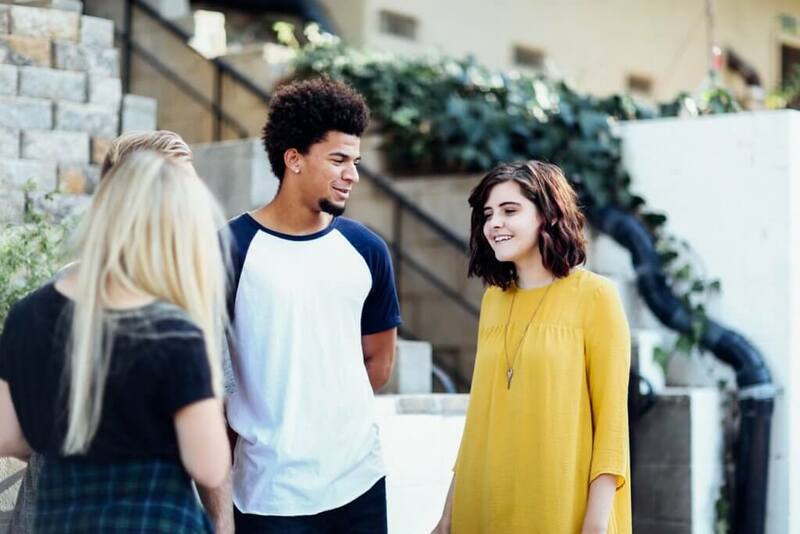 In a non-judgmental, emotionally safe space, your teen can openly express the intensity of their emotions and learn effective techniques to manage them. Here, your teen’s wants and values are honored, which creates the opportunity to explore new avenues for self-expression. With the right guidance and support, your teen can learn healthy ways to deal with stress, anxiety and relationship issues. Your child can build the confidence needed to make empowering decisions that propel them forward. Throughout the therapy process, you and your teen can learn the ways in which anxiety affects the mind and body. When all people encounter stress, the 911 alarm center goes off in the brain. In most situations, it’s possible to return to a baseline calm once the stressor has passed. However, for teens with anxiety disorders, this alarm center never fully resets. 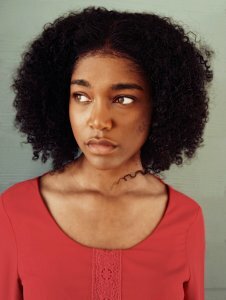 Once we gain an understanding of how your teen is uniquely impacted by distress, we can implement techniques and strategies that are specially tailored to resetting your child’s alarm. In the very beginning of therapy, your child completes a thorough assessment. Initially, the entire family comes in for a 90-120 minute session. During this time, we meet individually with you, your child, as well as the entire family unit. This allows us to begin pinpointing what’s fueling your teen’s anxiety. It also allows each person to voice their concerns, identify goals and get on the same page. Support at home is essential to your teen’s overall progress, so your involvement and input are incredibly valuable. All the strategies learned in therapy are meant to be applied directly to your child’s life. With increased awareness, your teen can identify triggers to distress, better manage thoughts and make better choices. Depending on what issues are coming up, we may develop sleep strategies, so your child feels refreshed and energized at the beginning of each day. We may also practice mindfulness, deep breathing and other relaxation techniques, so your child can experience more peace and calm. As we explore your child’s thoughts, emotions and behaviors, we also practice more effective communication, so they can become a more effective, confident self-advocate. Regardless of how stress or anxiety is impacting your teen and family, it is possible to make it over this rocky road. Collectively, our therapists have decades of experience helping teens acquire the skills needed to lessen, and even completely overcome, anxiety symptoms. With these skills, your teen can not only enjoy more overall joy now, but can continue to use these skills in college, careers and beyond. If every teen experiences stress, does my child really need therapy? If anxiety symptoms are making every day feel like a struggle, don’t wait to get help. Teen anxiety is very treatable. Anxiety doesn’t typically dispel on its own. Over time, anxiety can build on itself leading to more avoidance and lower confidence. Coming in sooner rather than later makes it easier for teens to face what they’re nervous about before it becomes unmanageable. As a parent, how will I be involved in this process? To ensure your teen receives the best care possible, having a strong support system is crucial. At first, the entire family comes in for 90-120 minutes to discuss concerns, questions and therapy goals. From there, your teen and one of our skilled therapists will work collaboratively. Although we check in with you, either before or after sessions, we uphold the ethical obligation to keep the contents of your teen’s individual sessions confidential. However, you may play a role in take-home exercises, as well as implementing skills outside of sessions. We can also schedule appointments with parents or the entire family as needed. We’ve tried therapy before, and it didn’t help. Successful therapy hinges on a successful relationship between the client and therapist. At Brave Minds, we work very hard to provide a safe, compassionate space, where teens can feel comfortable being completely themselves. 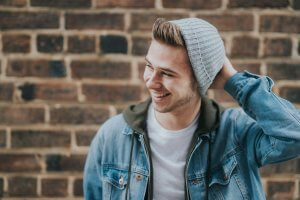 This openness allows your teen to define goals, explore connections and process pain. We are also strength based, meaning we highlight what’s working even while we assess what’s not. We will also discuss any poor therapy experiences you’ve had in the past so we don’t repeat that frustration here. 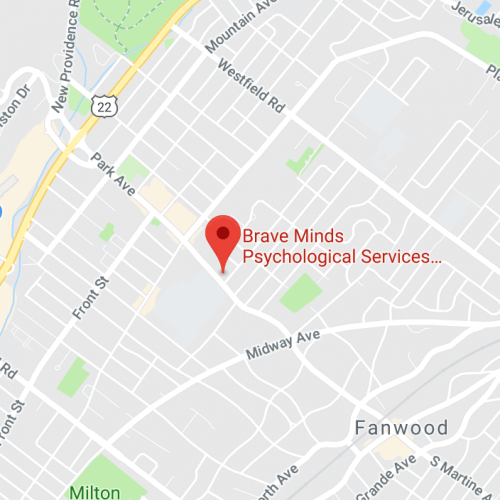 If you’re interested in teenage anxiety treatment in Scotch Plains, NJ please call (908) 242-3634 or use the contact form for a free 20-minute consultation. We are happy to answer any questions you have about how teen or family counseling can address your needs.